Our goal is to provide a better understanding of the inner workings of the United Nations as delegates build skills in diplomacy and compromise. We will afford an atmosphere where delegates can improve their communication and diplomatic skill, critical thinking, and networking in the true place of United Nations, United Nations Conference Center. Venue: United Nations Conference Center, Bangkok Thailand. 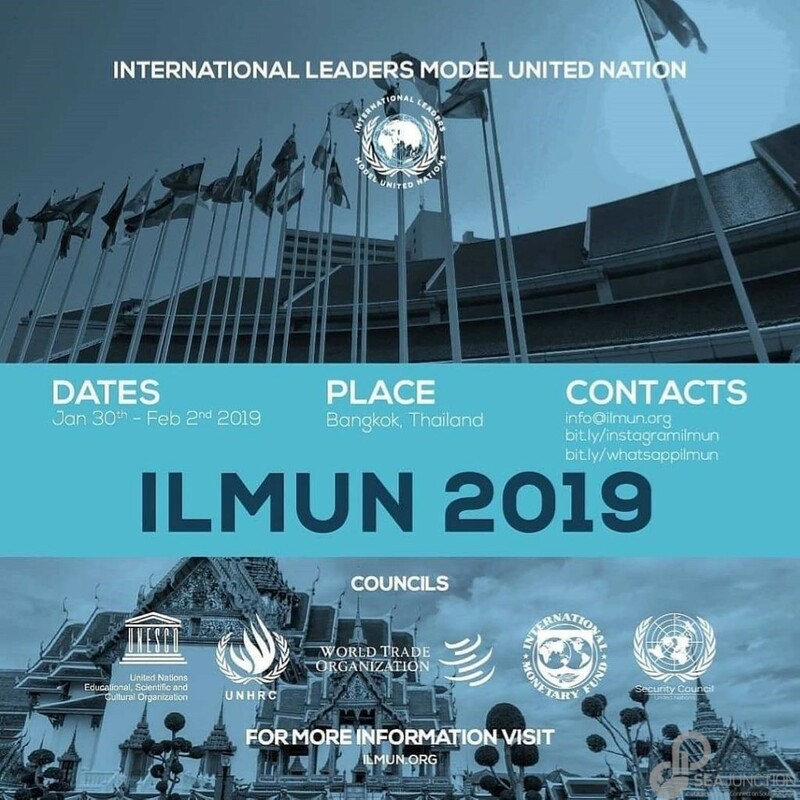 Do not miss this amazing opportunity to learn about diplomacy and United Nations assemble with different Delegates around the globe and together respond to global concerns in United Nations Conference Center, Bangkok Thailand. Fly to Bangkok and join International Leader Model United Nations!